Written by Airtable Team on December 8, 2017 . Talking to your customers helps you build better products. It’s the most direct way of figuring out what problems your customers have and how to solve them before inking it in code. When you’re launching a new product or feature, this feels obvious. By doing user research and talking to your customers, you can test and validate new ideas before actually building them. But in the long run, you don’t create something great by badgering your customers every time you want something from them. You have to anticipate their problems and needs and adapt from there, which means creating a flexible system where you’re always doing user research. Getting the feedback you need at the right time can be difficult. Companies often make the mistake of reviewing immediate feedback after blasting their users each time they launch a new product or marketing initiative rather than creating systems for the feedback that drips in over time. The result is a flood of information that’s impossible to navigate. For a single product, the marketing team is busy sending surveys and campaigns. The product team sets up NPS surveys, schnedules user interviews, and pores over analytics tools. Meanwhile, customer support is responding to the constant influx of tickets, tweets, and in-app messages. Everybody is collecting information, while very little of the research and insights are actually studied company-wide. The trick is to set up a collaborative workflow for UX research, so you can pull in feedback at any time and spread that information across teams. If you can do that, you don’t need a big research team or an outside agency to tell you what your users are thinking. You build a constant conversation with them. Let’s talk about how you can create a self-replenishing system for gathering user insights by automating event-triggered NPS emails, finding a time to talk to your customers, and getting the right information to the right people on your team. trigger for user research invite campaign Each time a customer fills out your NPS survey with a score lower than four or higher than eight, they get an email that looks like this: This helps you build an ongoing base of users that you can reach out to do user research at any time. Once you have a steady stream of users you can talk to at the top of the funnel, the next step (and often most difficult one) is actually getting them on a video or phone call. By automatically creating and scheduling call sessions, you can carve out more time that you can use to talk to more people and learn faster. At Segment, an analytics API and data platform, the team uses Customer.io to put scheduling research interviews automatically. For every user who has opted into UX research, they create a custom segment in Customer.io: The whole point of growing a pool of users for your research initiatives is not only to give you the flexibility to find people to talk but also to find people different dimensions, from plan-type to company role. For instance, if you’re building out a new feature limited to your enterprise product, you’ll want to talk to customers on the enterprise plan. 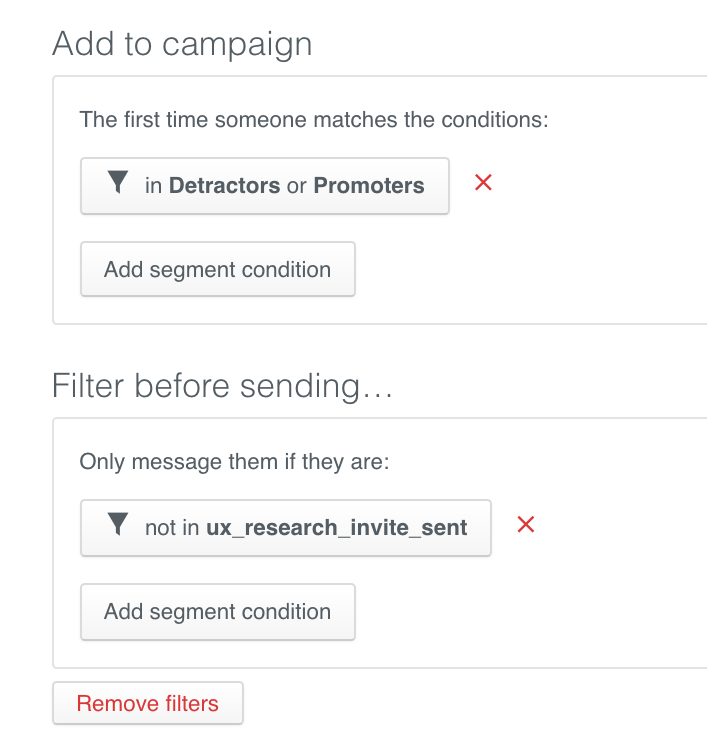 By segmenting this pool further — by plan, for example — you can trigger more personalized messages. The Segment team also sends Calendly links in their invitations, allowing them to schedule user sessions via video call or in-person. (Calendly is a meeting scheduling tool that allows you to set aside blocks of time in your calendar showing your availability. Users can click on the invite, pick an open slot on your calendar, and choose a time that fits their schedules.) 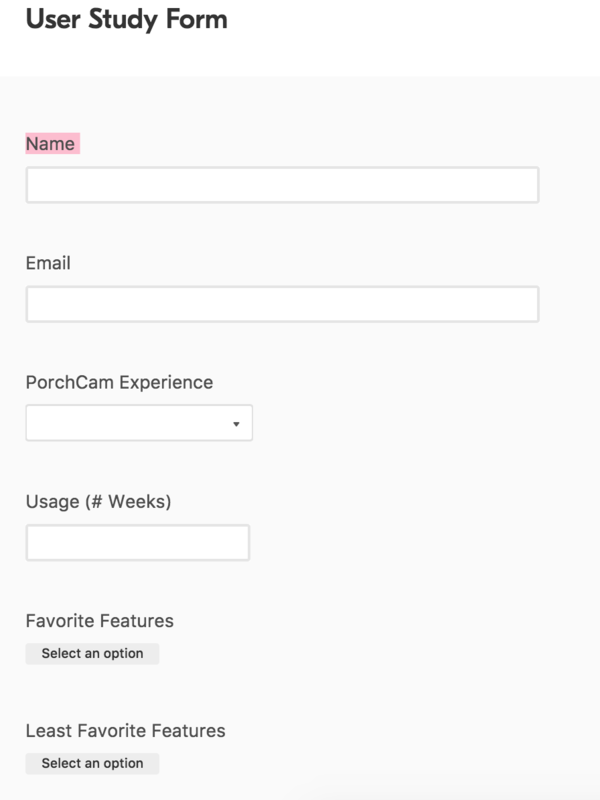 You could also use Zapier to send data about the pool of people who have opted into user research from Customer.io into Airtable to create helpful views of everyone who has opted in to your user research program: Click image for larger view In just a couple steps, automation can bring you closer to your users. It eliminates the grunt work of gathering information for review, scheduling, and logistics, freeing up your time to actually talk to people. When you finish your user research sessions, the final step is to make sure that each interview is categorized, processed for insights, and filed away somewhere that’s easily accessible to everyone on your team. By baking this process into your feedback loop, you can ensure that it constantly happens on a real-time basis. The more you can automate your firehose of UX research, the faster you’re able to process data and metadata. Not only will you be able to conduct UX research faster, but also accelerate the pace that you learn from it. First, automatically email interviewers a form before each study begins. Provide a field where they can quickly take down notes as well as provide quantitative answers. 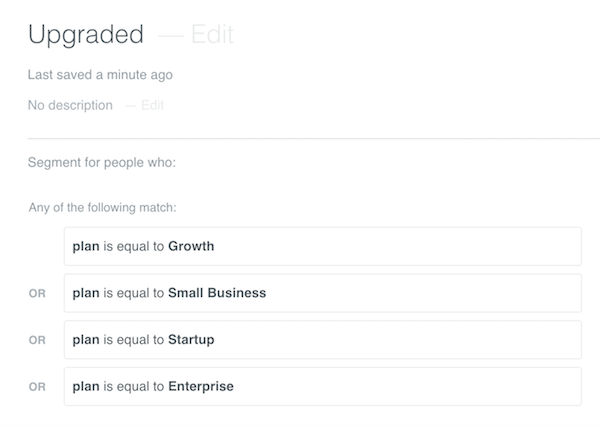 Each interview is categorized as it enters your base, which makes it very easy to slice and dice the results in a way that makes sense for your entire team. That was precisely how Tomer Sharon, VP of Research at WeWork, put together his Polaris base for User Research. 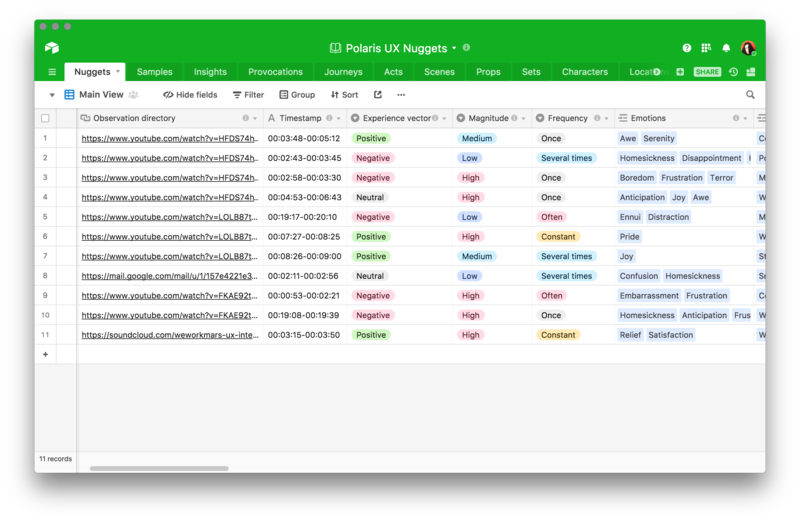 Polaris is an internal database that aggregates user research from 110 locations around the world. Using Airtable to collect user insights from across the company helps everyone from the marketing to product to customer support become more user-focused. WeWork’s Polaris UX Research Base in Airtable. Click image for larger view. Get the template here. In the view above, you can see that each “nugget,” or observation links to a particular point in a WeWork customer’s journey — from “pre-membership” to “graduation.” That makes it really easy for the WeWork team to find specific nuggets of user insight based on what they’re working on. In the early stages, you don’t need to create an elaborate system to help democratize your research insights. A bi-weekly or monthly email to the team is perfectly fine. The important thing is to make sure that the research you’ve done spreads across the team, where it can be deployed to maximum effect. 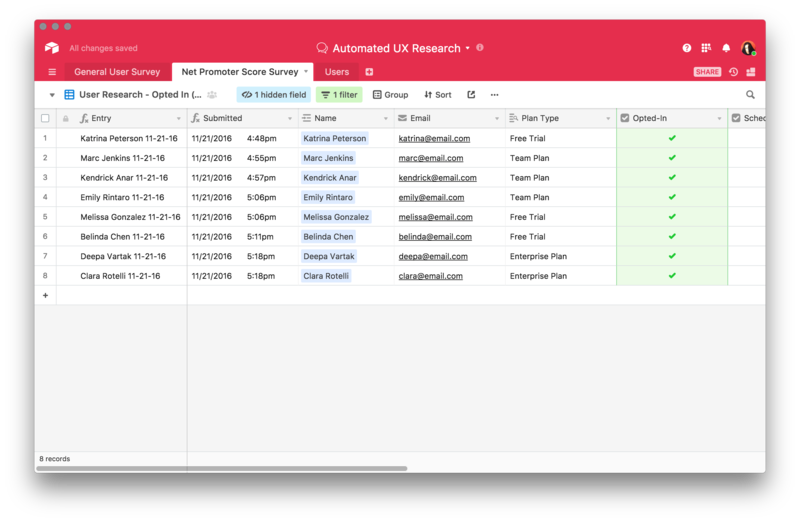 Since you’ve already done the work of indexing your user feedback, it’s easy to whip up an automated email to your team with relevant research findings. Click image for larger view In the image above, we’ve created a view with a filter showing all user research conducted within the last month. User research is grouped according to their User Experience rating, from low to high. Armed with the information in this view, you can pull out the core research themes each month, and send them to the team in an email. Team members can get the information they need quickly, and dive into the research database to learn more. If you’re building a software product, you have a limited amount of manpower and limited capacity to run user research. That’s why it’s so important that you make the research you do easily accessible across your team. Today, software tools help product managers and researchers organize research data while automating tedious tasks like sending emails and calendar invites. Setting up a system to categorize the results of your research allows you to build knowledge around your users that can be passed across your team. You create workflows that help you learn more about your users, better understand your collected user insights, and ultimately build better products for your users. 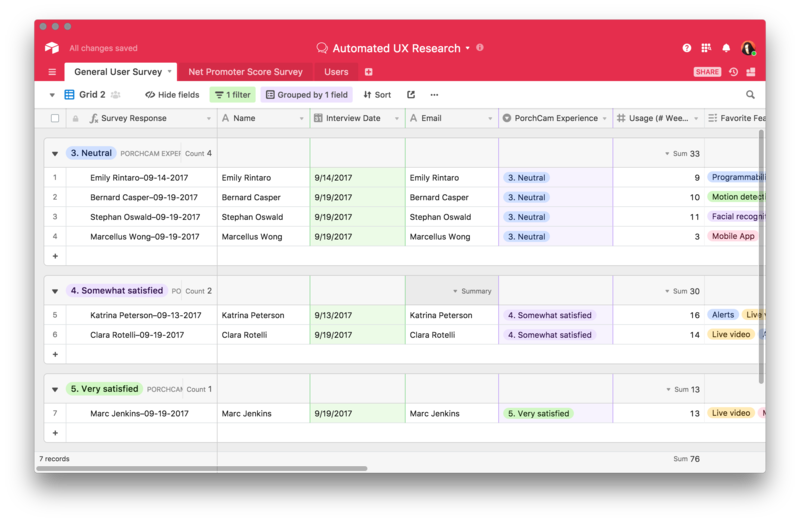 How does your team gather and organize UX research? Share your experiences in the comments below!